“Hill towns and empty mountains pass by, but the smoothness of the train blurs the view, and it’s easier than ever to fall asleep in the low morning sunlight coming in through the train’s windows”, writes Will Long, the artist behind the Celer moniker, in his liner notes to Sky Limits, one of his most fulfilling records to date. First created as a duo project in 2005, Celer has been US-born musician Will Long’s solo vehicle since 2009. Through the years and thanks to an astounding rate of production, Celer has become a reference in the field of ambient electronic music. The care Long puts in his ethereal albums and his flawless musical intuition have earned him the critics’praise and invites to release material on key labels such as Spekk, Glacial Movements, Humming Conch, Experimedia, and/OAR, and now Baskaru. Sky Limits consists in a series of daydreaming-prone, strings-laden ambient tracks interspersed with field recordings of daily life in Tokyo and Kyoto. This album is a reflection on the evanescent nature of memories, dreams, and reality. In the mid-90′s, I boarded a Boeing 747 and flew across the Atlantic to Orlando, Florida. In that distant era, you could, for a couple of minutes or so, occasionally walk into the cockpit of a passenger jet on a long haul flight (accompanied by a member of the cabin crew), and say hi to the pilot and co-pilot (as you do). At 40, 000 feet, you could gaze out at the clear skies and the cloudy, vanilla scoops that concealed the sea, way below the plane. Nowadays, that’s unimaginable, as is the thought of smoking on a flight, but it really added to the enjoyment of traveling, especially when you consider that, in the 21st century, it’s becoming anything but enjoyable. Sky Limits helps to change that, reveling in the journey rather than the destination. Celer‘s wispy, jet-lagged ambient music takes you away on its own journey. Slow to burn, Will Long’s music is heartfelt and cozy. It lets you drift away the day, a moment spent in dreamy transit. Celer’s music is high class music, no doubt about it. If you fly with him, you fly first class. In his hands, ambient music is effortless, just as it should be, and Sky Limits is another finely drawn entry. Will Long’s music is a serene window on the world, looking on at people and their emotional labyrinths. Thoughts blur – as does the countryside – as we travel through a green and pleasant land, kept guarded by nature. Sky Limits drops us off in a special place, a golden respite that we thought we’d never find. The ambient atmosphere is slow, glacial, but in reality we’re moving at a fast pace; the high speed line takes us through cities, towns, unknown and undiscovered neighborhoods and rural communities. The music runs on a cushioned track, connecting the country and the landscape together, chaining them to the mind, body and soul. We can then link the music to a specific moment, a specific point in time and a golden experience; the place where we first heard that sound. Every time the music plays, it reminds us of how we felt, reminds us, somehow, of our own self. As listeners, we’re on the inside, looking out at a beautiful, pristine horizon that glints and glows in the golden shadows of the sun, a fleeting moment never to be repeated. Celer makes the journey peaceful and serene, interspersing the ambient music with the everyday music of a terminal or a station, but he always brings us back to that restful place. Through “Circle Routes” and “Tangent Lines”, the music coasts along, taking with it a melancholic snapshot of an unforgettable place. You know deep in your heart that you won’t be returning anytime soon. His music has a special kind of clarity, like a lake of glass. Clarity of thought, clarity of air, clarity of mind. It stays with you. Celer’s music isn’t just beautiful. It’s also a reflection on life’s transitory state: in a second, we leave it all behind. Fear of change, fear of altering the familiar and the habitual, it’s something we all dread; how many little details and moments do we look back on from our past that we wish we could experience again? Sometimes we’re afraid in the moment, knowing that at some point it’s going to end and become nothing more than a memory and we try to savour it as best we can, other times we don’t realise what we’re missing before it’s too late; those peaceful and frosty walks to school on clear days, the bustling of the corridors, the quick-stepping to lectures and the sweaty climb to the top of the quiet and sleepy department. It’s at times like these in the face of an imminent and lonely Winter that we mull upon these once frequent and retrospectively integral moments from our past. The album is a seamless single act of 11 pieces, seguing perfectly from the meatier and more substantial long-form drone pieces to tiny, intimate interludes comprised of homely and familiar field recordings before moving back into the introspective palaces again. The bigger pieces are the kind we’ve come to expect from Celer at this point; delicious, perfectly crafted organic drone lines that emerge carefully and progress minimally in their heartfelt movements, focusing down on specific themes through the course of the record. Opener “Circle Routes” wakes the album up for us, lapping gentle waves of tidal, circular drones in fragile and thin currents against our sleepy minds, slowly gaining traction and becoming minutely denser across its warm span. This briefly homely vibe is ensconced with “Making Tea Over A Rocket Launch”: relatively self-explanatory but perhaps quieter and more restrained than you’d expect. This intimate at-home pleasantry continues through the warm and loving sustained synth of “In Plum and Magenta”, rising out of the TV’s background noise in a resplendent and cosy rush of sound, savouring these quiet and brief moments as we sip tea and watch humanity explore the stars. But the melancholia arrives through the mid-album with “On The Shinkansen Leaving Kyoto” and it’s bigger partner “Tangent Lines”, never to completely depart us. Things begin to become insubstantial and metaphysical in the shimmery and daydreaming tracts of “Tangent Lines”, not living in the present but wishing to be somewhere familiar and calm even when that is our path. Even more desirous is the lengthy “Equal To Moments of Completion”, carving out the densest and meatiest and most substantial drone lines of the record, repeating endlessly its elongate and yearning sequences over and over again, slowly descending into a dreamy and complete nothingness, wanting nothing more than to preserve the sleepy and warm rustlings of “A Morning”, of which it is “Wishes To Prolong”‘s agenda. It’s the most melancholic and minimal piece, a sad and delicate affair that knows all to well that this moment is nothing more than a fleeting one quickly lost and forever sought after, and its slow motions do more to solidify the moment in memory than they do to enhance its emotional effect when it’s most necessary. This outward desire to keep these memorable instants is concluded in the appropriately titled closer “Attempts To Make Time Pass Differently”, also the longest track of the album. Its sound is reminiscent of the same desirous drones of “Equal To” but there’s something wholly more ponderous and weirdly lush and minutely detailed about this that its predecessor does not possess, something harmonious and actively fluxing in its presentation but also ultimately doomed to failure, which it recognises as it fades sadly to a premature darkness, leaving us alone in a morose void for the final minute of the record, left to our own devices to ponder what we could have done differently, if anything. Sky Limits hits dangerously close to home and is probably one of Celer’s best works to date; not just because there’s a sense of relatability with the music, although it helps, but because it’s one of the most rigorously structured records he’s produced in quite some time, yet still somehow feels organic and natural in its progression and evolution, taking us through the motions of nostalgia and the fear or rather the deep desire to not have to age and move on from that which is familiar and comforting in the present. It’s a fragile and haunting record that both seems to last a lifetime and yet take no time at all; very strong effort from one of the best musicians in his field. How does one capture the essence of this in a musical recording? Celer does so beautifully by interleaving recordings of the most mundane aspects of daily life with elegant, billowy ambient drones that tap the deep wells of memory and emotion that silently accompany even the most banal moments of our daily routines. The concept works to perfection. The listener is immediately taken to a place of stillness with the airy reflections of the opening track, ‘Circle Routes’. We emerge from the reverie to the sounds of making a cup of tea with a TV broadcast in the background. Then, seamlessly, we drift back into reverie mode with the elegant tones of ‘In plum and magenta’. By inviting us into his life and his reflections, Celer brings us in closer touch with our own. This is a truly lovely album and one that is affecting as it is atmospheric. C’è sempre una storia dietro l’apparente afasia delle composizioni di Will Thomas Long. Quella sottesa a “Sky Limits” ha nuovamente a che fare con il distacco e il ricordo, questa volta interpretati in proiezione futura, quali rappresentazioni auditive del reale. La realtà giapponese di Long è fatta di paesaggi bucolici attraversati da linee ferrate, di orizzonti opacizzati dalla velocità dello Shinkansen. L’itinerario di settanta minuti di “Sky Limits” è costituito da brevi istantanee di field recordings e lunghe tappe di ipnosi dronica, avviluppante nella sua consistenza finissima e, nel finale, increspata secondo diverse modulazioni temporali, che scolpiscono l’immanenza del ricordo in un presente hauntologico. Is de bestemming het doel van de reis? Of is het reizen op zich al de bedoelde bestemming? Is het elders een uitgesteld thuiskomen, al dan niet met vreselijke heimwee? Of is het echte thuiskomen in eigen huis en haard de inspiratie voor het maken van nieuwe plannen voor tochten vanuit de veilige thuishaven? Is de ambient van Celer de reis of de aankomst, het vertrekpunt of misschien het thuiskomen en -zijn? Kun je in zijn nevelige en dromerige wereld overal een thuis vinden? Will Long bouwt onder zijn artiestennaam Celer composities, die in en uit droomwerelden lijken te drijven. In zijn minimale stukken met serene modulaire structuren zit echter een diepe emotionele laag verstopt. Denk aan een landschap dat voorbijraast als je uit het raam van een trein kijkt. Dichtbij zie je een waas aan kleuren en lijnen, veraf de strakke horizon. Huizen, weilanden, windmolens. De randen van een stad doemen op, en dan: de drukte van een station. En vervolgens weer de relatieve kalmte van het platteland. Zo wisselen ook gedachten zich ondertussen af; van actuele tot mijmerende herinneringen, die in en uit elkaar geweven worden in een labyrintisch spel. Een spel dat verrassend genoeg veelal geen vertrek of aankomst kent, maar in een tussengebied danst tussen toen en dan. Urbi et Orbi gedragen door een drone, als het spiegelende oppervlak van een meer dat niet beroerd wordt door wind; Longs ambient is als het Stars of the Lidachtige blanke doek waarop je je fantasie mag botvieren, en je beslommeringen lodderig de beslommeringen mag laten. Waarop ongrijpbaarheid van herinnering, droom en realiteit samensmelt met laag op laag aan uitgerekte landerige tonen, die Marsen Jules en ook Machinefabriek in je oproepen. Een plaat als een moment waarin alles kan en mag, en niks hoeft. Nergens en toch ergens. From the liner notes of this release “Hill towns and empty houses pass by, but the smoothness of the train blurs the view”; and this is all Will Long needs to say to portray what he is trying to achieve with this album. With the opening pads of ‘Circle Routes’, the listener is dragged into a sea of enriching ambient with direct immediacy, with layers of folding bliss that are as hypnotic as they are drenched in solitude; where just over nine minutes of your time disappear without realisation. Each track is interspersed by a field recordings equivalent that represents Long’s daily life in Tokyo and these can be forgiven thematically speaking, as they drift and glue the reflections of Celer’s memories, that are evocatively played out on seas of endless apparitions. From the desperate throttles of ‘Tangent Lines’, to the threads of hope portrayed on ‘Equal Moments of Completion’, Will Long cascades a shimmering array of swells and pitfalls that simultaneously spark images from all ranges of key change and sound; that disguise the similarities and familiarities of each song, complimenting each other as an albums worth of work, embodying a concept that never fails to impress; where on some other releases this would undoubtedly be deemed as ‘samey’. As a whole, ‘Sky Limits’ provides enough of a rich tapestry as any for a self-respecting ambient fan to lap up with gusto. As such this isn’t an album that you can just pick up and play; it takes a set mood and space in time where the listener is prepared to sit down and wholeheartedly envelop themselves in another persons story. For a while I assumed that Celer was no more, due the passing of one half of the duo, but since 2009 Will Long also uses this name as a solo vehicle. He has released his music on many labels, such as Experimedia, Glacial Movements, Spekk and now Baskaru. Here we have a new album of eleven pieces, which all have a title and not necessarily form one long piece but could also be treated as such, of music that is very ambient mixed with a bit of field recordings. From his current location, Tokyo, he offers what seems to be the entire opposite soundtrack of a busy city. Much of this sounds like processed string music, not unlike the kind of strings processed by Marsen Jules. Music that floats by, really, really gentle and calm. Not the kind of stuff I would let pass without looking out the window and think of some weather related metaphor. It fits this sunny yet cold (how would I know: I haven’t left the house all day) January day, and now, especially at the end of the afternoon, the evening starts to fall and lights begin to fade: this seems to be the perfect time of the day to start this CD and then, about an hour later, it’s most likely dark and we have moved to a variety of moods here, all from the various possibilities on offer from the string sounds (light, dark, somewhere in between, together, alone), which he mixes with very quiet field recordings from Tokyo, just faint traces it seems of someone talking, some sparse sound, the rumble of far away traffic; Tokyo has quiet areas too, I know. This is Celer the way we like it; it’s not the kind of music that Celer wouldn’t do, and that’s perhaps the downside of it. It doesn’t seem to be something ‘new’, for whatever that is worth. But perhaps that’s reviewer talk; maybe the fan wants more of the same? Vor etwas weniger als einem Jahr besprach der Rezensent an dieser Stelle das damals frisch veröffentlichte CELER-Album “Zigzag” und ging zu diesem Anlass relativ ausführlich auf Werdegang und Hintergrund des, mittlerweile in Tokyo ansässigen, Soloprojektes des gebürtigen US-Amerikaners WILL LONG ein. Auf längere biographische Exkurse und Einführungen ins Werk wird deshalb hier & heute verzichtet, vielmehr werden Rahmenbedingungen und kontextuelle Bezüge als bekannt vorausgesetzt, so dass wir uns ohne langes Federlesen mittenmang in die vorliegende Veröffentlichung stürzen können. Bei Bedarf einer kleinen Gedächtnisauffrischung möge der interessierte Leser vor Lektüre des aktuellen Artikels hier noch einmal klicken. Für 2014 gibt die Homepage von CELER einen Output von vier, die entsprechendediscogs-Seite gar von “nur” drei Alben an, was, gemessen an der sonst üblichen, nachgerade manischen Emissionstätigkeit des Projektes (2013 z.B. sieben, 2012 gar sechzehn Alben) für ein ausgesprochen stressfreies, man möchte fast sagen: müßig durchfaulenztes Jahr spricht. “Sky Limits”, als LP im November bei WILL LONGs eigenem TWO ARCORNS-Label erschienen und Ende Dezember dann von BASKARU als CD veröffentlicht, bildet in dieser Hinsicht quasi das Jahresabschlussopus und kommt entsprechend – Achtung, Kalaueralarm:entspannt daher. Nun wird sich der mit dem Oevre des Künstlers einigermaßen vertraute Leser an dieser Stelle eines mehr oder weniger amüsierten Schmunzelns kaum erwehren können, ist doch die Kategorie “entspannt” schlechterdings paradigmatisch für das Gesamtwerk von CELER und insofern für einen einzelnen Exponenten desselben entsprechend wenig aussagekräftig. Es ist im Grunde etwa so, als artikuliere man mit bedeutungsschwangerem Pathos in der Stimme die Feststellung, Angela Merkel habe während einer Parlamentsdebatte – ja, sapperlott! – einen Hosenanzug getragen. Und doch: In Anbetracht des Umstandes, dass CELER sich für “Zigzag” – wir erinnern uns – sogar an Experimente mit so etwas wie Beat (sic!) gewagt hatte, ist es vielleicht nicht völlig überflüssig, explizit zu erwähnen, dass die Zeit der Experimente recht kurz war und nun bereits wieder vorbei zu sein scheint – die große stilistische Wende ist denn doch ausgeblieben und man bewegt sich wieder auf altbewährten, dermaßenrestlos und radikal rhythmusbefreiten, superfriedlichen akustischen Endlosflächen, dass unter ihrem Einfluss wohl selbst eine Horde randalierender Orks im Crackwahn binnen weniger Sekunden zu einer Ansammlung lammfromm herumhoppelnder Kuschelhäschen mutieren würde. Wie anhand des Ausgeführten wohl ersichtlich ist, bietet die vorliegende CD beileibe nichts Neues oder gar Ungewöhnliches, weder für den Freund gepflegten Ambient-Gesumsels im allgemeinen, noch für den von CELERs kontemplativen Soundflussflächen im besonderen, nichtsdestoweniger kann man der Promoauskunft guten Gewissens beipflichten, wenn “Sky Limits” dort als “one of [CELERs] most fulfilling records to date” bezeichnet wird. Nichts Neues und schon gar nichts Aufregendes (was freilich auch kaum die Intention einer Ambient-CD sein dürfte), das jedoch in Formvollendung. Wer also entspannte bzw. entspannende Musik zum Einschlafen, Tagträumen, Meditieren, Lesen, Nasepopeln oder Löcher-in-die-Luft-Gucken sucht, der ist mit “Sky Limits” bestens bedient, denn es handelt sich in der Tat um eine der gelungensten Arbeiten WILL LONGs bislang: Der dezidiert kontemplativ-träumerische Charakter der Musik wird mit subtiler (!) Kurzweiligkeit verknüpft, so dass aller relativen Ereignislosigkeit zum Trotz an keiner Stelle Langeweile aufkommt. Wer freilich der Auffassung ist, auch in einem musikalischen Werk solle “etwas passieren”, wer also Abwechslung und Unterhaltung im engeren Sinne des Wortes sucht, der sollte – dies sei abschließend noch einmal unumwunden klargestellt – von dieser CD besser die Finger lassen. Will Long’s solo project – Celer worked as a duo first but then on moved to something that needed just one mind. Sky limits is his latest output which he got published by mighty Baskaru label. A beautiful set of tracks which he enriched by field recordings from Japan – Tokyo and Kyoto. A really dreamy atmosphere which doesn’t have the obscurity that experimental music often burdens itself with – full of full throttle passages of light weight ambience and stringy arrangements. The perfect soundtrack for dipping yourself into and haiving some extra reflexion of what seems only obvious but has something deeper to it. Excellent album with heavyweight of elaboration, distance and tactfulness. Will Thomas Long has been less prolific as of late with material as Celer, his minimal ambient project. That longer space between releases has made each one all the more memorable, and that is no different with Sky Limits. Even though it is conceptually about the ephemeral nature of life and experiences, stopping to listen to these quiet pieces makes for a great metaphor of life on a grander scale. 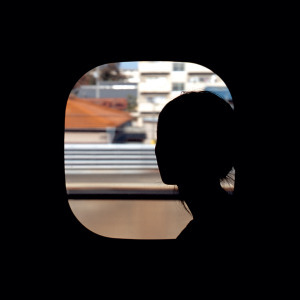 The composed pieces are consistent with what Long has done as Celer for years. Long constructs “Circle Routes” entirely of gliding tones and expansive electronics. Layered and slow, the piece is gentle, but commands attention and never becomes dull. “In Plum and Magenta” features Long working in similar methods, but scaled back to be somewhat sparser, still conveying the same pensive emotions however. The sound becomes a bit more intense on the middle pieces of the album, however. “Tangent Lines” has a sound that is more commanding and dense, a cinematic heaviness that conveys drama expertly. Long keeps the electronics heavy on the following “Equal to Moments of Completion,” emphasizing the lower end and creating an even greater sense of bombast. In a similarly cinematic manner, the final two pieces have the sound retreating to a more gentle, placid conclusion. “Wishes to Prolong” floats more than looms, slowly whisping away its calm tones and melodies. The concluding “Attempts to Make Time Pass Differently” has Long working with a similar ghostly feel, but enhances it with a rich, slow driving expanse of tones. The closing minutes go to near silence, requiring focus and dedicated attention to fully appreciate. With the whole of the album inspired by daily life in Japan, the six major pieces of music are interspersed with field recordings of mundane life: watching television while drinking tea, traveling on a train, or simply the sounds outside. Kept at a low volume level, it requires deliberate focus to be able to fully hear what is going on, a great metaphor for the rest of life. Will Thomas Long’s use of sparse and minimal electronics throughout Sky Limits should be of no surprise to anyone with even a passing familiarity with Celer’s work. Weaved together with the bits of field recordings, the album almost becomes an anti-narrative. Unlike something of high concept and drama, the sounds are more about observing and appreciating the richness in the mundane, the every day experiences people ignore in the search for something bigger or more grandiose. Mit „Sky Limits“ ist der in Japan ansässige Field/Ambient-Komponist Will Long auf dem für seine ausgewählten Veröffentlichungen weithin geschätzten Label Baskaru angelangt (die LP gibt’s via Two Acorns). Kaum sind seine jüngeren Arbeiten – die auf verwandten Szenelabels wie SPEKK („Zigzag“) oder Entropy („Climbing Formation“) erscheinen sind – verklungen, schon erhebt sich sein spezifischer Celer-Sound erneut, um Grenzen auszuloten, die der Imagination vorbehalten bleiben müssen, um den Nachweis ihrer Existenz nicht in Abrede zu stellen. Der Kampf des Schlafes gegen landschaftliche Schönheit im Morgenlicht, die an mit dem Shinkansen Reisenden vorbeirauscht: Dieser situative Kontext gibt Celer/Will Long in den Linernotes mit auf den Weg. Doch auch ohne ihn entfaltet „Sky Limits“ erneut die Quintessenz aus realer Momentaufnahme und zeitloser Klangsubstanz. Denn im Gegensatz zu dem von mitunter quälendem Zögern durchzogenen Album „Sunlir“ (2013) „stört“ hier nicht der Hauch eines angedeuteten „Misstons“ die Ruhe eines wohlig und sanft gewogenen Halbschlafes. „Sky Limits” als spannungsarm zu bezeichnen, muss nicht pejorativ verstanden werden. Wer es jedoch darauf anlegt, seine Tagträume mit Genuss und Gewinn anzuleiten oder gar zu gestalten, der ist mit dieser konsequent durchgeführten Klangreise bestens bedient. Dabei bedarf es weder einer pittoresken Umgebung, noch eines meditativ erregbaren Mediums, um anhand der von Celer vorgenommenen Annäherung ans Unerreichbare wohlbehütet dorthin zu entschwinden, wo kein nur symbolischer Himmel den Aufenthaltsort stellt. Die Beharrlichkeit, mit der Will Long sein Ambientprojekt Celer seit mittlerweile einer Dekade vorantreibt, ist nicht bloß beachtlich. Sie ist im Grunde auch der Schlüssel zu seiner Musik. Dass zu den an die hundert CD-Rs in eigenen Kleinstauflagen inzwischen einige Kollaborationen und Einträge auf Labels wie Spekk, Experimedia, and/OAR oder Streamline gekommen sind, hat durchaus mit dem Suchtfaktor seines Ambientsounds zu tun, den ein warmes und unverkennbares Glimmen auszeichnet, das ganz offenbar sein Leben begleitet. Den Eindruck eines tagebuchartigen Fortlaufens in seinem musikalischen Schaffen unterstützen oft Field Recordings, hier von einfachsten datierten Alltagsmomenten. Tee machen, Zugansagen, eine Straßenszene, zusammen aufwachen, abendliche Heimkehr: vertraute Klänge, die Bindeglieder und Welt-Anker bilden der zeitenthobenen, getragenen Streicher-Loops, die in der Ferne manchmal flirren wie gekräuselte Wolken, und die sich so minimal geben, dass ein Filter-Sweep durch die Obertöne schon zum Ereignis wird. Vor allem aber wirken diese Stücke durchweg sanft und selbst am bittersüß-clusterigen Höhepunkt des Albums beruhigend. Selbstgenügsamer Lohas-Rückzug ist das allerdings nicht. Sie sind nämlich genauso durchzogen von einer Melancholie, die auf die kleinen Momente das Licht der Vergänglichkeit wirft. Bald stellt sich darüber eine Entrücktheit ein, der unerschütterliche Blick gleichsam beseelter Gegenstände aufs Treiben der Menschen. Ein japanisches Motiv (wie in Ozus Kino des Abschieds), vielleicht ist es aber auch schlicht die unauflösbare Fremdheit in seiner dortigen Wahlheimat, die einen solchen Blick aus der Distanz begünstigt, so als wäre alles nur ein Traum. Es geht in dieser Musik nicht darum, wie sie gemacht ist, sondern um so mehr darum, was sie mit einem macht: Gerade in der scheinbaren Mühelosigkeit liegt ihre Kraft, Wunden zu heilen. Ich kann mich noch gut an meine erste wirklich tiefgreifende Erfahrung mit sphärischen Ambient/Drone erinnern, weit zurückliegend in den 90er Jahren, als vom damaligen Projekt-Label aus Amerika eine schlichte, sehr ästhetisch verpackte 3er CD-Box von Vidna Obmana mit dem Titel “Trilogy” erschien. Das Covermotiv mit irgendwie unwirklichen/romantischen Motiven aus der Natur fand einen auf den Punkt gebrachten Einklang mit extrem zerbrechlichen Klängen, die eine Weltentrücktheit an den Tag legten, die mir so bis zu diesem Zeitpunkt in dieser musikalischen Form was ganz neues offenbarte. Langsam, schwerelos, rhythmusfrei drifteten Sounds sich von ganz weit draußen kommend in den Vordergrund, machten die Cover-Skulpturen lebendig, wirkten im höchsten Masse zerbrechlich. Gab es seinerzeit einen Overkill an Veröffentlichungen eben dieses Projektes und Künstlern wie Steve Roach, sind es in der Neuzeit Projekte wie Celer, Bvdub, Stars of the Lid, Eluvium, Ian Hawgood uvm., die diese Fährte aufgenommen haben und regelmäßig schwebende dronige Ambientklänge fast im Quartalsrhythmus unters Volk bringen. Die Zahl der Veröffentlichungen bleibt ungezählt, ob man alle Platten braucht, sei dahingestellt, in jedem Falle ist die Musik von Celer- Komponist Will Long desöfteren von der oben benannten Zurückhaltung geprägt, wie ein nicht enden wollender Trip durch ein Wolkenmeer…komplett entschleunigend. “Sky Limits“ friert Momente ein, schaut nach innen, reflektiert, wirft Bilder auf, lässt Horizonte verschwimmen, ist melancholisch klar, manchmal frühlingshaft morgendlich verschlafen, manchmal klar wie ein in weiß getauchtes Winterbild. Man tritt aus sich selbst heraus, lässt imaginäre Kamerafahrten in Highspeed durch Großstädte, Natur und Himmelsbilder rauschen, alles in Widescope. Surreale, verschlafene Fragmente, Zugfahrten mit vorbeiziehenden Panoramen, unwirklich, schemenhaft. Die Augen werden schwerer und schwerer, Gedanken kreisen, Alltäglichkeiten, Personen und alles Weltliche löst sich in diesem driftenden Auf und Ab in Bedeutungslosigkeit auf. Celer lädt zur Reflektion ein, umarmt die Stille, nimmt das Tempo in einem ewigen von Schnelligkeit pulsierenden Alltag raus. Treibt die Synapsen hinauf in Weiten, friedlich schimmernd ins Licht. Dronige glasklare melancholische Flächen, die letztlich warm, verschwommen und doch unwirklich ihre ganz eigene Form an Eleganz definieren, weit weg von schnödem New Age. Bruchstücke an Erinnerungen, Vergangenheitsbilder, längst vergessene Gedanken-Fragmente bahnen sich den Weg frei, man drückt auf die mentale Pause-Taste, versucht sich am Festhalten so manch heraufbeschworener Bilder, nur um sie letztlich doch ziehen zu lassen. Nostalgie, Wehmut und Vergänglichkeit paaren sich mit diesen kurzen Aufflackern von Glückseligkeit, Klarheit, die doch oftmals wie ein Traum am Morgen innerhalb von Sekunden im Nichts verschwinden. Celer reihen sich in die Riege solcher fragilen Minimalisten wie z.B Stars of the Lid ein, die in ihrer romantisch entrückten Art und Weise doch so große Momente zu schaffen in der Lage sind. “Sky Limits“ baut im Vergleich zu den letzten Veröffentlichungen dieses Mal konsequent über Albumlänge ein Netz an durchgehender sonnendurchfluteter Sphärik, experimentelles findet sich nicht auf dieser in Schönklang, im Äther driftenden Platte. Trotz der Masse an Field/Drone/Ambient-Veröffentlichungen in den letzten Jahren ist diese Celer-Veröffentlichung ein unbedingtes Highlight, reicht es an doch an o.g. Klassiker heran und bringt über die gesamte Laufzeit die Kraft und Schönheit dieser Genre auf den Punkt. Un jour, leurs routes devaient se croiser. Dans le microcosme de la musique ambiant, le label français Baskaru est devenu en seulement quelques années, la terre d’asile de bon nombre de musiciens qui étirent le temps, l’espace et les notes. Parmi ceux-là, Celer est l’un des plus prolixes, puisque avant Sky Limit, Will Long a déjà produit pas moins de quatre-vingt-quatre albums (!) depuis le lancement de ce projet, alors sous forme de duo en 2005. Désormais seul à bord de ce vaisseau sans équipage, l’Américain contemple ici des paysages depuis un train, quelque part entre Kyoto et Tokyo, où il réside désormais. Pour apprécier cette musique faite pour la contemplation et l’introspection, il n’y a guère d’autres moyens que de lâcher prise. La lumière et l’ombre s’immiscent entre les paupières à moitié fermées, selon que le soleil passe derrière une montagne, un immeuble, transperce à travers des arbres ou des nuages. On file, bercé par le ronronnement du Shinkansen, tout juste tiré de notre torpeur par des annonces dans une langue incompréhensible lors d’un arrêt en gare. Les longues modulations, les vagues et le ressac des ondes sinusoïdalement, nous font perdre pied et on ne sait plus très bien si les minutes s’étirent indéfiniment ou si, tout au contraire, des années défilent entre chaque battement du cœur. Où s’arrête le ciel, où se termine la ligne d’horizon ? Où se perdent nos songes, où fuient nos pensées ? A staggering number of Celer releases has been issued since the group’s 2005 inception, yet Will Long continues to find ways to give each new Celer outing a distinctive character. As long-time fans well know, the group originated as a duo project but has been guided by Will alone since 2009 following the untimely passing of his partner Danielle Baquet-Long. Currently based in Tokyo, Japan, the US-born Will has not only kept the Celer project alive but amped up his activity level through his participation in Oh, Yoko (with Miko) and Hollywood Dream Trip (with Christoph Heemann); he also operates the Two Acorns label, on which the vinyl version of Sky Limits appears. Long’s liner notes provide some mode of orientation for the fifty-minute album, though they’re hardly required when the music by itself is so evocative: “Hill towns and empty mountains pass by, but the smoothness of the train blurs the view, and it’s easier than ever to fall asleep in the low morning sunlight coming in through the train’s windows.” The intertwining of movement and stasis in the image of a traveler taking in the passing scenery finds its analogue in the album, where transporting, strings-laden episodes alternate with field recordings-sourced snapshots of daily life in Tokyo and Kyoto. The instrumental settings are ethereal in character, as if to suggest music drifting slowly far above the earth’s surface, and their textures are silken, diaphanous even. As a result, a piece such as the nine-minute opener “Circle Routes” inculcates a state of dream-like reverie in the listener receptive to the music’s charms, especially when its suspended strings hypnotically oscillate between two pitches. Though the instrumentals—symphonic pieces that often swell to a Wagnerian pitch (see “Equal to Moments of Completion”)—are a collectively unified bunch, there are subtle differences between them. In contrast to the restful tone of “Circle Routes,” for example, shuddering strings in “Tangent Lines” generate a more agitated effect by comparison. The single-minute interludes, on the other hand, ground the listener firmly in the minutiae of everyday life where different scenes are captured in fleeting form. In one, tea is prepared while a television broadcasts a rocket launch; in another, intercom announcements and buzzers convey the frenzied activity of a typical train station. Miniature portraits of the city and domestic life are both accounted for in the album’s five vignettes, all of which have identifying dates affixed to them. If there’s a single Sky Limits track one could select to illustrate the subtle allure of Celer’s music, it’s “Wishes to Prolong.” At first blush, it might appear to be little more than a static drone anchored at a single pitch, but when inspected more carefully, plaintive echoes below the surface begin to reveal themselves, and the piece becomes an artful exercise in the kind of subliminal sleight-of-hand at which Celer excels. Celer (ήτοι ο Αμερικανός μουσικός Will Long) μας έχει απασχολήσει και παλιότερα με τους δίσκους του. Στον τελευταίον του, Sky Limits, κυκλοφορεί και πάλι στα μονοπάτια της άμπιεντ ηλεκτρονικής μουσικής δημιουργώντας ένα χαλαρό φαντασιακό σάουντρακ της πόλης του Τόκιο, όπου ο Long ζει τα τελευταία χρόνια. Ηχητικά κύματα με την παρουσία εγχόρδων στα οποία εμβαπτίζονται field recordings από την καθημερινή ζωή της μεγαλούπολης. Il nuovo parto dell’instancabile ed inesauribile Will Long è forse il più interessante dai tempi di “Capri”, l’ultimo capolavoro firmato in coppia con la compianta consorte e partner artistica Danielle Baquet. Proprio da allora, l’arte dell’ormai unico titolare del marchio Celer ha smesso di lavorare sulla sostanza emotiva pura, per cercare applicazioni teoriche e pratiche che ne accrescessero i significati più profondi. Ciò nonostante, quella di Celer resta la forma più spontanea e diretta possibile della sound art ambientale contemporanea, dove la prassi creativa resta elemento fondante attorno a cui ruota qualsiasi successiva intenzione extra-musicale. “Sky Limits” è il paradigma di questo peculiarissimo approccio ad un sound che troppo spesso, ultimamente, si è ritrovato subordinato ad intenti di tipo concettuale divenendo mera conseguenza degli stessi. L’idea che ogni attimo, anche il più semplice, per definizione irripetibile, possa rimanere impresso nella memoria non solo attraverso un’immagine, ma anche attraverso un suono, il suo suono, è la chiave di lettura che lo stesso Long esplicita nelle note di copertina. Ma essa altro non è se non il frutto di un’intuizione, un’attività cerebrale successiva allo stimolo: il disco è dunque lo strumento che porta alla genesi dell’idea, e non una sua mera e passiva dimostrazione pratica. Ecco spiegato perché la componente emotiva sia anche qui fortissima e padrona della scena: la musica prescinde, in sé, dall’aspetto concettuale, che è in essa racchiuso e reso attraverso l’alternarsi di field recordings istantanee e digressioni di droni in perenne oscillazione tra serenità e malinconia. E se le prime possono accrescere il loro significato in maniera decisiva se intese all’interno del concept, le seconde non hanno alcuna necessità di esservi collocate. Il disco ha così almeno due piani possibili di esperienza e lettura, entrambi carichi di suggestione: quello di una cronaca di sei attimi di vita, mostrati prima dall’esterno e poi attraverso la percezione interiore, e quello strettamente sostanziale, di squisita opera di musica atmosferica. In quest’alternanza mai interrotta di realismo esteriore e impressionismo ambientale, Celer racchiude infatti alcune delle sue immersioni più belle e toccanti di sempre: dall’ouverture contemplativa e sfumata di “Circle Routes”, al più tradizionale affresco a pastello di “Tangent Lines”, fino al crescendo tutto Heckeriano di “Equal To Moments Of Completion” e, soprattutto, alla splendida miniatura di “In Plum And Magenta”. Frammenti di vita interiore che si interrompono, bruscamente, per lasciare spazio all’esperienza pura di una tazza di té a colazione, di un viaggio in treno come tanti verso e da Kyoto, da contemplazioni di una mattina e di un pomeriggio di uno stesso giorno qualsiasi. Il tutto con tanto di date, quasi a voler rendere ulteriormente l’unicità di ogni singolo momento. Non a caso il meraviglioso brano conclusivo, notturno e romanticamente tormentato, recita come titolo un palese “Attempt To Make Time Pass Differently”. Suggellare l’attimo, coglierlo, immagazzinarlo come esperienza unica e irripetibile nella sua semplicità, nel suo apparire forse privo di un particolare significato. Tutto questo è, non necessariamente, “Sky Limits”: il più grande outsider* del 2014 ambientale. «Sky Limits» – музыкальный отчет Уилла Лонга о путешествиях по Японии с помощью поездов Синкансена, высокоскоростной сети железных дорог в стране Восходящего Солнца. Из Токио в Киото или в другой город, из раннего утра сквозь стремительно промелькнувший день в темный зимний вечер (судя по датам в названиях треков, все как раз и происходило в осенне-зимний период), созерцая в квадрате окна, заключающем в свои рамки бесконечное прежде небо, размытые на скорости пейзажи и суетливую реальность многочисленных перронов. Рассказывая об этом с помощью музыки, в качестве исходных материалов Уилл использует записи симфонического оркестра, создавая из них петли, аккуратно наслаивая их друг на друга и замедляя, вытягивая почти что до бесконечности. Надо сказать, прием не нов и довольно широко распространен на эмбиент-сцене, особенно японской – стоит вспомнить творящего примерно в той же манере Чихея Хатакеяму и, особенно, его чудесный диск «Bare Strata», – но у Лонга никуда не делось уникальное чувство прекрасного, позволяя ему четко балансировать на грани полной статики и невероятных в своей эмоциональной глубине звуковых картин, которым придается неожиданно простой и понятный вид. Так и здесь: все очень красиво, завораживающе и душевно. В начале альбома партии живых инструментов вполне различимы, а трубы даже подражают гулу проносящихся мимо поездов, но, чем дальше мы уходим от исходной точки, чем больше остановок (а Уилл активно перемежает треки полевыми записями с этих островков в рельсовом море добавляя гул людских голосов) отделяют нас от начала пути, приближая к финишу, тем более размытыми и рассеянными становятся эти звуковые образы, под конец возносящиеся в благостную эфемерность «Attempts To Make Time Pass Differently». Как и в реальном пути, сказывается усталость, когда глаза слипаются под мерный грохот колес, голова откидывается на мягкий подголовник и окно, растворяясь в дремоте, начинает показывать совсем другие картинки, делая границы неба и воображения воистину бесконечными. Оно и понятно – навряд ли в поездах Синкансена по вагонам шарятся бесноватые барды-самоучки и лоточники, так что в мире «Sky Limits» никто не помешает наслаждаться этим благостным состоянием покоя. Очень красивый, порой даже мечтательно-нежный альбом…наверное, это романтика дороги сказывается, а, может быть, и предвкушение скорой встречи с любимым человеком, ведь не просто так люди пускаются в такие путешествия, верно? Точно один из самых красивых релизов «Celer» за последнее время. Within nine years only Will Long’s solo since 2009-project Celer has churned out an amazing mass of, mostly Ambient, music with a discogs count of 115 releases in this period including an astounding number of 84 albums alone, including his most recent output “Sky Limits” which has been put on the circuit via the highly recommended Baskaru-imprint and which serves further explorations of Ambient music, this time featuring embedded field recordings taken in the Japanese cities of Kyoto and Tokyo throughout the years 2012 and 2013, bridging the gaps between the slowly floating, organic and possibly healing beauty of Long’s compositions like “Tangent Lines”, “Equal To Moments Of Completion” or “Wishes To Prolong”. But, despite all this beauty, it seems like these small extracts from a foreign countries original everyday soundscape are the more or at least most interesting bits on “Sky Limits” as – a problem well known to the experienced Ambient head in general – most of the genres possibilities have been heavily explored throughout the past two decades, especially when it comes to its emotional, string-loaden and slightly kitschy side, which results in a feeling that one might’ve come across the musical story told in this album a few times before and at some point in the past. That said we’re not about to diminish the musical quality of “Sky Limits” in itself which is well crafted and definitely living up to the genres quality standards but after having listened to a good bunch of Ambient albums before one is not necessarily taken by surprise here. For die-hard Ambientists only. ‘Sky Limits’ is appropriately named, not because it soars, but because it sounds as though it’s been formed from cloud. Long, soft drones hang vaporously across the 11 loosely-structured pieces that drift into one another. The quirky or otherwise descriptive titles (‘Making tea over a rocket launch broadcast’, ‘On the Shinkansen leaving Kyoto’, ‘Attempts to make time pas differently’, for example) bear not audible relation to the sounds they refer to. Many of the pieces are very short and very quiet, although the album is signposted by three longer pieces, stretching out to ten minutes and whispily hovering in the air. Zu den bekanntesten optischen Täuschungen zählt das durchsichtige, oft nur schwach erkennbare Spiegelbild in einer einfachen Glasscheibe, das sich mit den Objekten hinter dieser Scheibe überblendet. Die Illusion einer solchen Überblendung erfolgt bei vielen Menschen immer dann, wenn Erinnertes oder Imaginiertes die Bilder der äußeren Realität überlagert, wenn das, was man gerne das geistige Auge nennt, die tatsächliche Sinneswahrnehmung in den Hintergrund drängt. Der in Japan lebende Musiker Will Long, der vor rund zehn Jahren die Band Celer gründete, die er heute als Soloprojekt betreibt, hat sich selbst wiederholt bei dieser erfahrung beobachtet, als er per Bahn in der Peripherie Tokyos oder in der japanischen Provinz unterwegs war. Der Blick aus dem Fenster, wenn man die vorbeirauschenden Ort- und Landschaften in der Regel mit nur mäßiger Konzentration wahrnimmt, ist wie geschaffen dafür, fiktive Bilder entstehen und mit der verhuschten Wirklichkeit verschmelzen zu lassen. Sein neuestes Album “Sky Limits” ist dieser Erfahrung gewidmet. Erinnerungen, Überblendungen haben auf “Sky Limits” durchaus auch in unmittelbarer Form ihren Raum, füllen als mitgeschnittene Konversationen und fragmentierte Geräusche menschlicher Geschäftigkeit jedes zweite Stück des Albums, das in diesen Abschnitten an ein Hörspiel oder eine Radiodoku mit zurückhaltender Moderation erinnert. Doch das Gros der Musik ist atmosphärisch ungemein verdichteter Ambient von verschwommener, zerfließender Beschaffenheit. Meist in Molltönen, stoßen die Soundscapes trotz ihrer klanglichen Klarheit bewusst an die Grenze zum regressiven Abdriften. Gerade diese Momente, wenn sie ein paar Minuten lang von keinen unverhofften Kontrasten gestört werden, vergegenwärtigen den tagträumerischen Zug des – keineswegs kitschigen – Schwelgens in Erinnerungen und Vorstellungen besonders, denn in ihrer bedächtigen Wellenform entspricht die Bewegung der elektronischen Flächen einer losgelösten inneren Dynamik viel eher als dem Vorbeisaußen der Außenwelt. Schon deshalb ist “Sky Limits” mehr als nur der Soundtrack zu einer Idee. Ungeachtet dessen sollte die Musik allen Freunden von Tim Hecker oder Stars of the Lid gefallen. Celer, creado como dúo en 2004 por Will Long – quien ahora reside en Yokohama, Japón y Danielle Baquet-Long (fallecida en julio de 2009), autoeditando en su propio sello Celer y editando varios CD-R’s y CD’s en sellos independientes de Estados Unidos y Europa. Long es curador y dirige el sello Two Acorns y está involucrado con los sellos Normal Cookie y Bun Tapes. Cada vez que escucho un nuevo disco de Celer me sumerjo en el ambient cautivador que despliega con esas bellas líneas de teclados y software de diseño. Long se inspira en este disco en las vistas a la ciudad desde la ventana de un tren, imaginando un paisaje sonoro que incluye registros de campo de la vida diaria en Tokio y Kioto: gente conversando, el motor de los vehículos, la campana que anuncia el paso del tren… Long reflexiona que algún día no estará en estos lugares y que por ahora es así como suenan. Las bellas atmósferas a las que nos tiene acostumbrados Celer, tienen un atisbo de nostalgia y un carácer épico; un viaje hacia un lugar remoto, esperado y encantador. Recorded a couple of years ago in Tokyo and Kyoto, this disk mainly maps travel through large clouds of mushroom vapor, brought to you by Celer’s Will Long. The album’s title Sky Limits refers to areas explored, as the tracks seem to be expanded astral projections of a dreamy state of mind. A solo project since 2009, Celer is very successful on Sky Limits in escaping daily reality, and paints the enlightened state described under influence by early morning sunlight. Expressing endless longing, drifting through celestial landscapes, Long’s state of mind resides in vaporised memories, making discrete snapshots of far out thoughts, impossible to determine their origin, and then stretching those stagnant stills into endless visuals of eternity, holograms of imaginary landscapes. Or something like that…..
No matter the words chosen to describe, don’t assume this is some kind of New Age or so, nor does it come close. It is effective in achieving what that genre is aiming for as Sky Limits breathes aether and does this to such an extent that the album, certainly when played at high volume, maybe adds more insights into space’s outer limits than NASA’s 10 last years of basic research. Since the disappearance of his wife Danielle in 2009, the American Will Long is alone at Celer ship bar. Currently based in Japan, it multiplies activities (musician, writer, photographer, educator and manager of Two Acorns label). In ten years of existence, has become a safe Celer vative of minimtaliste ambient; along qu’Hakobune example (with whom Will Long has also worked). The choice of Long étabiir to the country of the Rising Sun does not seem fortuitous as the Ceier music is inspired by the Japanese refined aesthetics. Long incorporates this new disc field recordings recorded in Tokyo and Kyoto – five of the eleven tracks on the album are thus made noises of Japanese urban life. Apart from these short interludes, the rest consists of cottony plies, the American was secret; the atmosphere in its purest form. A dreamlike journey where soothing sounds of waves are superimposed harmoniously, coming and going endlessly. This is a sweet electronic music, without artifice. Within these pieces, no variation. Nothing deviates from the initial scheme, which sometimes stretches for ten minutes. Annoying? Perhaps, but God it’s beautiful! Ce fut ensuite Celer, artiste américain exilé au Japon, et qui a sorti en décembre dernier « Sky Limits » sur le label français Baskaru. Ayant pour thématique la nature éphémère de la mémoire, des rêves et de la réalité, cette production nous fait effectivemment entrer dans un état second. Ces cordes synthétiques aux douces harmonies nous laisse contemplatif. Comme lors d’un voyage en train où nous observons à la fenêtre le paysage qui se déroule sous nos yeux dans un demi-sommeil. C’est bien cette image que Will Long, de son vrai nom, utilise pour illustrer ces 11 titres, qui font la part belle aux morceaux éthérés, entrecoupés de quelques enregistrements de terrain. Peut être même des souvenirs sonores que notre artiste a capté et a souhaité invoquer ici. La force de certaines captations sonores sur notre mémoire est rarement évoquée. D’une manière autre que des images, elles nous remettent bien plus vite dans une situation passée tellement les sons laissent une trace. Ils s’inscr ivent dans notre mémoire, peut être davantage de manière inconsciente, mais quand ils sont invoqués de nouveau, par le biais d’un enregistrement, leur impact est plus fort. Cela Celer le fait aussi bien avec ses sons de la vie courante, qu’avec ses sons synthétiques de cordes. La réalité pour les premiers, le rêve pour les seconds. Then it was Celer, american artist who lives in Japan, and has released in last December “Sky Limits” on the french label Baskaru. Having the ephemeral nature of memory as a thematic, we are indeed in an altered stated of mind when listening to it. Those synthetic strings with soft harmonies leaves us contemplative. Like a trip in a train where we look at the landscapes that unfold before our very eyes in a half-sleep. This is this picture itself that Will Long, of his real name, uses to illustrate those 11 tracks, that give prominence to ethereal pieces, interspersed by field recordings. Maybe they are sound memories that he has recorded and wished to invoke here. The strength of some recorded sounds on our memory is hardly ever mentionned. Differently than a picture, they get us back in a past situation faster so much, because sounds leave a trace in us. They fit into our memory, maybe more in a unconscient way, but when they are invokated, by a recording, their impact is stronger. This Celer has done it both with every sounds and synthetic strings sounds. Reality for the first ones, dream for the second ones. ‘Sky Limits’ (Baskaru) where the great classics of the gentleman are not upset, while gaining in depth and intensity. Always adept ambient tablecloths, sometimes turn into splendid dreamy setting for a fan of Brian Eno (the incredible and upsetting ‘Circle Routes’ which opens the album), Celer enriches his remarks with field recordings the more they are inhabited film. all the Both beaches (shorter), we believe in a film by Hou Hsiao-Hsien or Yasujiro Ozu, and all fans of cinema from the Far East will be delighted. Then, and systematically, it plunges into a trippy drama which, if not new, is of exceptional formal beauty. Here’s a rather pleasing, majestic, and dramatic drone release from this long time & highly prolific US based project. The CD takes in eleven tracks that move between lush slow-mo strings based ambience, and short slices of field recordings from Japan. The releases front cover takes in a picture of silhouetted figure staring out of a train window at the rushing by landscape, and this is most fitting because as you listen to the album you can almost imagine vast landscapes & cites scapes slowly unfolding then disappearing before your eyes. The shorter field recording tracks work as brief slices of normality/ reality; as they taking in train station noise/ chatter & noises of everyday modern Japanese life. Sound wise it brings it to mind the likes of Stars Of The Lid, more string based work of William Basinsk, or the slower & rich cinematics of Popol Vuh – as the ambient tracks unfold with slowed & lush string work that is both harmonic & dramatic. This is stretched out into rich & golden sweeps & hovers of compelling & relaxing ambience, which is both pleasing yet at times slightly melancholic. All told this is a most compelling, soothing, and richly harmonic drone release, which over the last few weeks, I’ve found myself returning to again & again. Certainly this is one of the more captivating & re-playable drone releases in recent memory. Celer was once an American duo of Danielle Baquet-Long and Will Long, but since the death of the first Long is single-handedly continued to ambient project which also makes trips to installations and exhibitions. He also collaborates with Miko under the name Oh Yoko and Christoph Heemann as Hollywood Dream. His current residence Tokyo and a romantic, melancholy view of life determine the eleven songs on ‘Sky Limits’, where an almost zen-like beauty radiates. To stay in style: it seems very long haiku, where poetry, ambient sounds and grease smeared synth lines go hand in hand. Occasionally even on the verge of kitsch, as the moment of wholeness by a hair is removed and all records will fully open. Ordinary things like tea, and the train are interspersed with matters that occur in the higher regions, and are encased in overblown titles, but from everything speaks of joy and wonder. Field recordings are since the musique concrète integral part of the musical toolbox. However, the summary of the various results of works with ambient noise under the collective term of Field Recordings is the variety of possibilities made possible of course hardly do justice. Because the concrete can both as a raw material in its concrete form be reproduced, as well as a source of inspiration in the sound or the structure of a composition abstracts incorporated. “Sky Limits” by Celer goes the second path. The bits of recognizable noises are short; the spherical passages ambient sheaths make the main part the soundscape made, in which the imagination the listener can classify the known. The relationship between inside and outside is characterized fragmentary – the interior is through the outer always touched only briefly before the contact again breaks off and spreads the meditation. Quite different D Bayne goes on “Meditations on Present Time” before. The recordings on walks were recorded, are in prolonged passages reproduced and thus give a trackable narrative. This is different Layers of piano superimposed. Similar a good movie soundtrack to reinforce this emotional content of the superficially visible. Both types of field recordings refer to equal to an impressive way on the cagesche paradigm that the most exciting music without interruption is played in everyday life around us. Sur la juxtaposition de la réalité et du rêve, certains ont écrit des livres (Bosco…), d’autres composent une musique de passage. Car il s’agit, lorsqu’on entreprend ce genre de projet, d’abolir la temporalité, les frontières, de devenir un « voyageur des deux mondes ». La lumière, le rêve, le bourdon… manifestations du continu, à l’extérieur de la parenthèse dans quoi se contiennent les évènements, le pittoresque, la matérialité, en d’autres termes la dimension empirique de l’existence. Will Long, alias Celer, élabore ce qu’il nomme un « warm drone », un bourdon chaud. Entendons d’abord, comme c’est le cas dans l’élégiaque Sky Limits, la vague d’harmoniques lumineux qui du flux au jusant, passe et repasse et, imperceptiblement, devient transport circulaire. Qui se souvient du début de son rêve ? La musique de Will Long est une succession d’épisodes qui, en dehors de la narration, ne connaissent ni introduction ni coda. Mais je m’aperçois que ce n’est pas véritablement la narration qui est exclue, mais la péripétie. Car cette musique raconte bien quelque chose, que chacun entendra, c’est une courbe de lumière mélancolique, de fredonnement scintillant dans le crépuscule où des sons cuivrés viennent dessiner les rubans célestes : le bleu agonisant reçoit l’hommage de l’orange vif. Ce n’est pas la seule distance prise vis-à-vis de la contingence. Une plage sur deux est un field recording, capté à Kyoto ou à Tokyo (Will Long y vit), où l’on entend du matériel, et des voix. Puis, comme au cours de ce voyage en train que Will Long décrit dans son texte de livret, la réalité et le rêve se fondent en seul faisceau. Ainsi en est-il du paysage qui défile, ainsi en est-il des pensées qui s’effritent aux portes de l’assoupissement, ainsi en est-il de la mémoire, thème majeur de ce disque, qui reconstruit notre temporalité sans s’y superposer. Les vibrations de nappe, leur fragilité et leur évanescence dans le tourbillon de la lumière, dans leur sphère sans cesse réinventée, se dispersent en d’audacieux jeux de miroir qui, aux abords de la mélodie, fredonnent déjà, et c’est bien un flot de mémoire qui remonte aux yeux. Difficile de suivre la production de Celer (désormais Will Long) tellement sa discographie est dense. L’année 2014 est peut-être l’exception avec seulement 4 albums dont une auto-production, parmi lesquels on compte le Zigzag paru chez Spekk (chroniqué ici) et donc ce Sky Limits que l’on est agréablement surpris de retrouver sur le label français Baskaru. Celer fait parti de ces artistes que l’on commence à bien connaitre et dont on se dit qu’il aura du mal à nous surprendre tellement sa production est homogène. En effet Will Long aligne, certains diront “avec facilité”, les nappes aériennes d’une ambient classique, fortement teintées de nostalgie, et lorgnant parfois vers le minimalisme. Parler de nappes aériennes et réaliser que l’album s’intitule Sky Limits, on se dit qu’il est on ne peut plus logique que Celer campe sur son registre de prédilection. Alors oui, aucune surprise à l’écoute de Circle Routes qui ouvre le disque sur une belle ambient aux nappes tristounes, pleines de nostalgie, voire empreintes d’une certaine gravité. C’est simple, un drone, une nappe qui compose une mélodie répétitive et on se laisse porter ainsi pendant une petite dizaine de minutes. Mais la surprise se produit lorsque l’on découvre les interludes qui servent de transition entre deux pièces ambient. De simples field recordings, sans le moindre artifice, captés à Tokyo et Kyoto, des scènes du quotidien dont les titres disent tout, y compris la date. Ainsi on devine que le musicien est en train de se faire du thé sur (12.5.12) Making Tea over a Rocket Launch Broadcast tandis qu’en arrière plan la télé diffuse le lancement d’une fusée. Le procédé apporte indéniablement quelque chose à la musique de Celer, une musique ambient, abstraite, qui prend ancrage dans le réel, dans un quotidien qui s’estompe progressivement, à l’image de la mémoire qui efface petit à petit les souvenirs. Passé ce constat, on revient aux douces nappes synthétiques avec In Plum and Magenta, mais on lui préfèrera la franchise deTangent Lines, moins doux, plus direct et hypnotique avec ses nappes répétitives.